Welcome to the SDSU Herbarium! The San Diego State University Herbarium (SDSU) is a depository of over 22,000 pressed and mounted plant specimens used in research and teaching. The purpose of these specimens is: 1) to serve as voucher documentation for research projects; 2) to serve as resources for plant identification; and 3) to serve as exemplars in plant courses. In addition, the herbarium both receives and provides loans of plant specimens used in active systematic research. The herbarium collection specializes in land plant specimens from San Diego County, California, and Baja California, with some collections from Argentina, Australia, Chile, and the south Pacific. 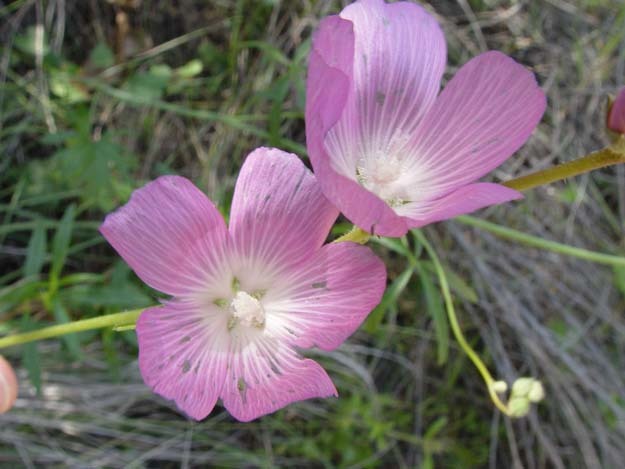 See Publications utilizing and citing specimens from the SDSU Herbarium. We have imaged 5% of our herbarium specimens! We are accelerating to do the entire collection in 2019! SDSU News Center Article on NSF-funded digitization grant we just received! Named after guitarist Jimi Hendrix! McCabe, Dodero, and Simpson 2016, Madroño 63: 359-365. Our records are entirely databased. are currently being imaged as part of the California Phenology NSF-supported TCN grant. The Curator of the SDSU Herbarium is Dr. Michael Simpson, whose primary duty as curator is to oversee the maintenance, organization, and use of the collection and to facilitate additions to the herbarium. The Herbarium is open by appointment only, so please contact us before coming to visit SDSU. Loans of specimens are available through registered herbaria upon request.